After the court proceedings were over, Beth Brockman was surprisingly approached by U.S. Marshalls and taken into custody for having an outstanding warrant from Tennessee. It appears that a “detainer” was placed on Beth for her refusal to pay a fee for her court ordered incarceration following a 2010 protest at the Y-12 nuclear weapons complex in Oak Ridge, Tennessee. Beth is currently being held at the Alexandria Jail and will have a hearing on Monday, October 22, before a Magistrate Judge from the General District Court of Alexandria. More information will be forthcoming following this hearing. 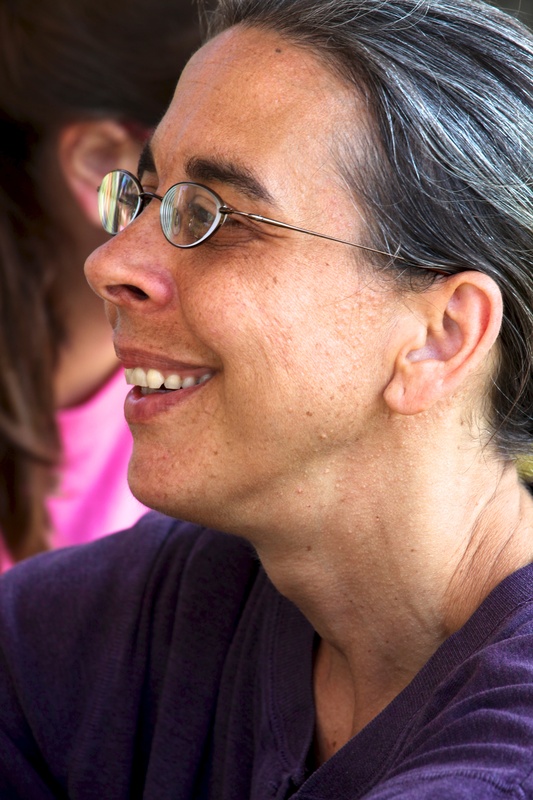 We give thanks for the witness of Susan Crane who was released today from federal prison in Dublin, California after serving a two month sentence for her refusal to cooperate with probation conditions resulting from her Disarm Now Plowshares action. After a weekend at the Alexandria Jail, Beth Brockman is free. Beth was released on a $2,000 bond at about 7:15 p.m. this evening. At her court hearing this morning, where she appeared before an Alexandria General District Court Judge via TV hook-up from the Alexandria Jail, members of the Dorothy Day Catholic Worker were present in court and Kevin Mason was able to present a receipt, sent by Beth’s husband, Larry, which verified that her court ordered fine for her incarceration was now paid. (Failure to pay this fine following her release from jail for the July 2010 protest at the Y-12 nuclear weapons complex was what originally caused the Tennessee court to issue her “detainer”). However, the judge then placed a bond on her for a probation violation charge stemming from her failure to appear at a court hearing following her release from jail in Tennessee. Patrick O’Neill and Kevin were able go to the jail and post the bond $ to secure her release. Apparently, after the Alexandria Judge left for the day was it learned that her probation violation charge is now being dropped in Tennessee. What a saga!!! So as far as we know now Beth’s case is now closed in Tennessee (Beth will confirm this tomorrow) and the bond money will be returned. Larry and Beth are so deeply grateful for all the support and prayers they received during this rollercoaster ride through the injustice system. Beth asked for prayers for her cell mate from Korea who is facing a very difficult situation with her case.